Premier 55+ community with shareholder ownership offers an active, independent and invigorating lifestyle. Set in a park-like setting off Blackstone BLVD, this cooperative housing community offers an active lifestyle with owner involvement in governance. The Laurelmead community life includes fine and casual dining, educational and cultural opportunities, fitness center, heated indoor pool and spa, movie theater and more. The all inclusive fee includes real estate taxes, utilities, 24 hour security, cleaning services, one daily meal, transportation services and more. 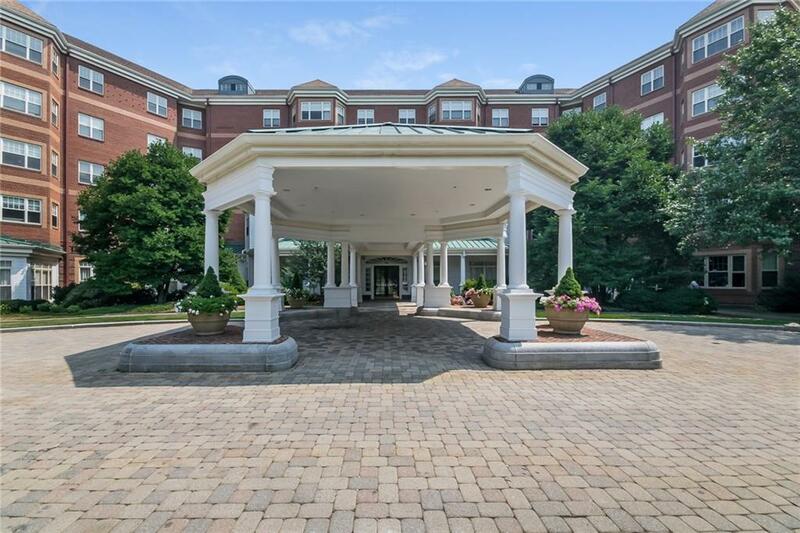 This bright and sunny apartment with SW exposure is located on the fourth floor with lovely expansive views of the manicured grounds and mature landscaping. Upon entering the apartment you are greeted with a large open great room with crown molding and lots of windows. The kitchen comes fully applianced and is open to the living space. There are two private bedrooms on opposite sides of the great room each with their own bathroom with updated tile and walk-in closets. Care free living at its best!